Seyfarth Shaw LLP is a large international law firm with offices all over the United States and London. The firm employs over 800 attorneys and specializes in trusts and estates, tax, real estate, labor and employment, intellectual property, immigration, healthcare, government contracts, environmental, safety and toxic torts, corporate, construction, commercial litigation, and other fields of law. The attorneys at Seyfarth Shaw* LLP pride themselves on being innovative, forward-thinking and client-focused.  In 2011, the Financial Times included the firm in its Top 10 list of Innovative Lawyers Report. Robert C. Stevens is one of partners with Seyfarth Shaw LLP. A graduate of the University of Alabama School of Law, he specializes in labor and employment laws. Admitted to practice before the bar of the state of Georgia, Stevens concentrates on litigation as well as counseling matters including wage and hour issues, trade secrets, restrictive covenant, and employment discrimination. Colleen M. Regan is another partner with Seyfarth Shaw* LLP. A graduate of Loyola Law School, Loyola Marymount University, she is admitted to practice before the bar of the state of California. Her areas of expertise are California workplace solutions, workplace policies and handbooks, employment litigation, complex discrimination litigation, and labor and employment. A veteran attorney who has tried uncountable single-plaintiff cases in both the federal and state courts, she consistently counsels the employers concerning employment-related issues. Marshall B. Babson is also a partner with the firm, who specializes in the field of labor and employment laws, particularly labor and employee relations. He is a graduate of Columbia University School of Law and is permitted to practice before the bars of the states of New York, California and Maryland. Due to his expertise, Babson has testified before President Clinton’s Dunlop Commission, regarding the U.S. labor laws. The firm has never shied away from its community development role. It maintains a Pro Bono & Philanthropy department, comprising of a partner and a coordinator, organizing and managing the firm’s Pro Bono work. Known for providing effective, efficient and transparent legal solutions, Seyfarth Shaw LLP is a distinguished law firm based in the U.S. It has a team of over 800 qualified and experienced attorneys that offer thoughtful and strategic legal counsel to local as well as international clients. The firm addresses the ever changing needs of businesses understanding their legal needs in employment, litigation, employee benefits, real estate and other related concerns. Diversity is one of the primary concerns at Seyfarth Shaw LLP. The firm believes that diversity with regard to people and perspectives helps to offer more innovative solutions which can lead clients to success in a more effective manner. This is why diversity is a core value at Seyfarth Shaw that helps it stand apart from other law concerns around the globe. It recruits and develops the best talent regardless of gender, culture or other factors. The diverse talents, minds and experiences place Seyfarth Shaw Law Firm in a perfect position to serve the clients from all walks of life. Seyfarth Shaw LLP strongly feels its responsibility towards the society. This is why it is always eager to provide justice to the ones who cannot afford it. There are a number of pro bono efforts that are associated with it. The office encourages its attorneys to extend best possible advice so that the interests and rights of all can be protected in the best possible manner. Seyfarth Shaw LLP has also signed the Pro Bono Institute’s Law Firm Pro Bono Challenge. It is listed on the Public Interest Law Initiative’s Recognition Roster as well. The firm has also received a number of awards for its pro bono efforts that include a variety of areas such as asylum, Family law, divorce, estate planning and real estate. All in all, reaching out to this law concern enables clients to find a perfect solution for their legal concern in an effective and efficient manner.